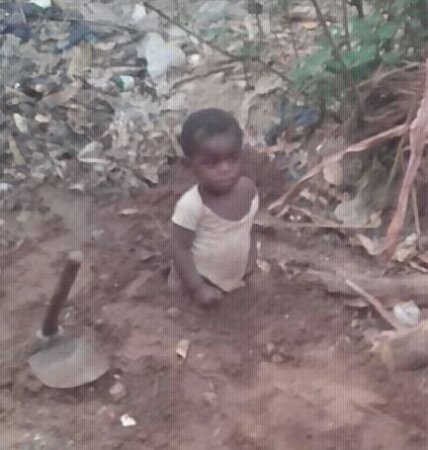 Parents of a young boy have allegedly buried their son’s legs in Makurdi, Benue State, Nigeria. According to Facebook user, Jeph Toochukwu Ezeokoli who shared the story with LIB, the boy’s legs were buried in the ground because of his inability to walk as at when due. Jeph wrote: "Just saw this around my neighbourhood. A child got his legs buried for his inability to walk as at when due. Is this practice not barbaric and brutal".